The suit filed on Wednesday in a Los Angeles federal court accuses Thicke and fellow singers Pharrell and T.I. of copying Gaye's hit Got to Give It Up. Nona Marvisa Gaye and Frankie Christian Gaye also accused music company EMI of failing to pursue a copyright infringement claim and trying to intimidate Gaye's children from filing a lawsuit. EMI is owned by Sony Music Entertainment, which did not immediately return a phone message seeking comment. 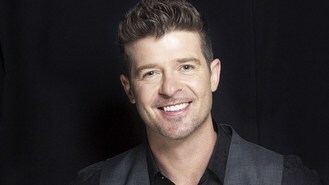 Thicke asked a federal judge in August to rule that his song did not copy Got to Give It Up. Thicke's lawyer Howard King says the Gayes' decision to sue EMI shows the family does not have the authority to pursue claims against his client.